In 2006, online loan marketplace Lending Club (NYSE: LC) established a new niche in consumer lending in which borrowers could connect with a range of nontraditional lenders and negotiate more favorable terms. It’s been a rocky 10 years for the online lending company and this spring some complaints about its practices led to a Lending Club probe and the ouster of CEO Renaud Laplanche that leaves the future of the company and the online lending industry in question. Trading at just under $4 a share, Lending Club stock has tumbled about 66% year to date and more than 80% since it went public in late 2014. The challenges it now faces, on top of various consumer complaints in recent years, are serious, and it is not clear that the company will be able to recover. But there is a strong possibility that the online lending marketplace will recover and that some of the niche services will become more established, new players will enter the field and clearer regulations will be established. Disruptions are often messy, as we’ve seen from the challenges and controversy facing a range of disruptors in other industries, from Uber to Airbnb. Companies that redefine traditional business models are commonly subject to considerable pushback, both from competitors who feel threatened, as well as regulators who often have legitimate concerns and often have to redefine the rules of doing business in a new industry. But as we’ve seen from several of the most successful disruptors, from eBay (NASDAQ: EBAY) to the The Priceline Group (NASDAQ: PCLN), it’s hard to stop an industry in need of some disruption. A strong argument can be made that the lending industry is in need of a little disruption. From high credit card interest rates to services that lack personalization, to the sheer difficulty of obtaining any loan at all, challenges working with conventional financial services institutions have created real demand for an alternative. Lending Club’s basic model of offering a marketplace for loans so borrowers and lenders can find the right partners is one that, in theory, should meet much of the unmet need. The Lending Club probe suggests the company may have stumbled by not carefully following all the regulations to which it was subject, from acceptable interest rates to proper documentation. But the basic business model has not come under attack. 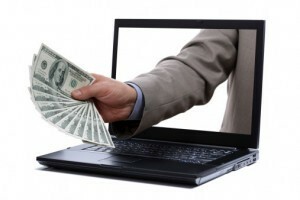 Like many disruptive businesses, the online loan marketplace has a lot of wrinkles to iron out. But if it can take the necessary steps to reassure consumers and regulators, it could have a bright future. Ordinary people across America are getting insanely rich. Take Gladys Holm. She never earned more than $15,000 a year as a secretary. But by making one simple move, she was able to leave an $18 million fortune to a children’s hospital when she died. There’s many more just like her. Find out how they did it right here.